BMW Indonesia began marketing the vehicle sports activity vehicle (SAV) the all-new BMW X5 xDrive25d, Friday, April 10, 2015. The diesel-engined vehicles manufactured in Indonesia and became available in the official dealer BMW began in June 2015 is offered at the price of USD 1.149 billion. Prices were already equipped with BMW Service Inclusive, including routine maintenance at no charge for 5 years or up to 60 thousand kilometers, whichever occurs first, and a warranty of 36 months with no mileage limitation. President Director of BMW Group Indonesia, Karen Lim, explain the all-new BMW X5 xDrive25d is produced at BMW's Production Network 2, PT Gaya Motor part of the group of PT Astra International Tbk, which is a business partner of the BMW Group in Indonesia. "BMW Group Indonesia has increased its production activities in Indonesia since 2011, and invested more than US $ 150 billion to assemble more variants of the BMW in the country," says Karen. X5 xDrive25d appear more solid with all refreshment. Rugged design ranging from the BMW kidney grille, which is placed in a combination of twin circular headlights and fog lamp, and the X-shaped contour lines. The twin circular headlights have a horizontal section on the lower side and a combination of LED accent lights at the top. X5 is the first model that has aero blades on the exterior. Aero blades is an air channeling element integrated with the rear spoiler to optimize the aerodynamics of the vehicle. 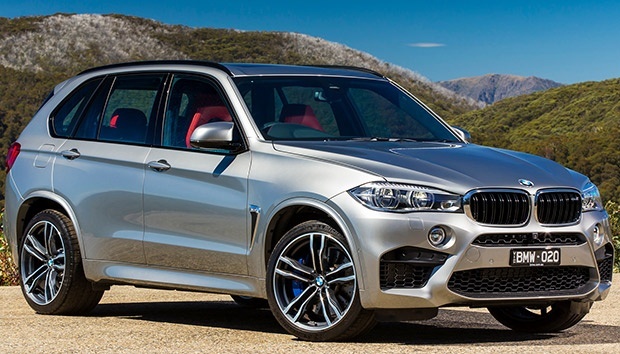 X5 xDrive25d diesel engine equipped with a 1,995 cc in-line four-cylinder BMW TwinPower Turbo, BMW Efficient Dynamics innovations, steptronic eight-speed transmission and the ECO PRO mode with a range of new facilities. The engine generates maximum power of 218 hp at 4,400 rpm with a peak torque of 450 Nm at 1500-2500 rpm. This car can accelerate from 0 to 100 kilometers per hour in just 8.2 seconds. BMW also claims this latest variant of fuel efficient and environmentally friendly with a fuel consumption average of these vehicles in the EU test cycle is 17.2 km / liter with CO² emissions 154 g / km. In ECO PRO mode, the engine, acceleration response, and the transmission characteristics are systematically adapted to support the driving style and fuel-efficient low rpm. X5 is equipped with all-wheel drive smart actively manages power distribution between the front wheels and the rear wheels at all times. The latest version xDrive power distribution gives optimum efficiency with a reduction in vehicle weight of 1.4 kg. xDrive provides the best traction and stability on any road and weather conditions as well as provide better maneuverability, by minimizing oversteer or understeer automatically. All-wheel drive xDrive latest features on-screen status display control with 3D graphics. This standard feature shows real-time information about the body roll and wheel traction. X5 also comes with Hill Descent Control (HDC), xDrive driver assistance systems governing vehicle at a predetermined speed, thus helping to control the brake so that the driver can concentrate fully on the steering wheel.